Heat oven to 350°F. Grease bottom only of 9x5- or 8x4-inch loaf pan. In large bowl, beat sugar and melted oil with electric mixer on medium speed until light. Add eggs; beat well. Stir in bananas and almond milk; blend well. In separate bowl, mix flour blend, baking soda, baking powder and salt. Stir into banana mixture just until moistened. Pour into pan. Bake 50 to 60 minutes or until toothpick inserted in center comes out clean. Cool 5 minutes in pan on cooling rack. Loosen sides of loaf from pan; remove from pan, and place top side up on cooling rack. Cool completely, 1 to 2 hours, before slicing. Wrap tightly, and store at room temperature up to 4 days, or refrigerate. 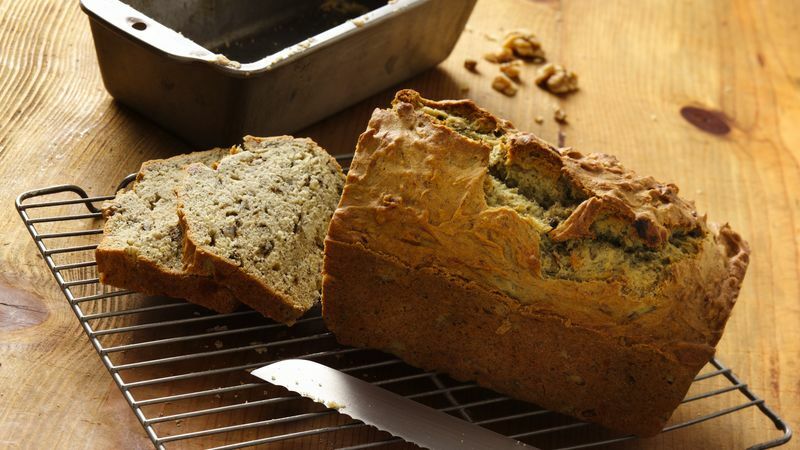 The riper the bananas, the better banana flavor your bread will have.